To celebrate the release of King of Thieves, we've got a copy on DVD to be won, plus a signed poster. Sir Michael Caine popped up in a 2010 Christopher Nolan film. What was it called? 2. The prize is a copy of King of Thieves on DVD. We have one copy in total to give away. 5. Closing date for entries is midnight on 11/02/2019. 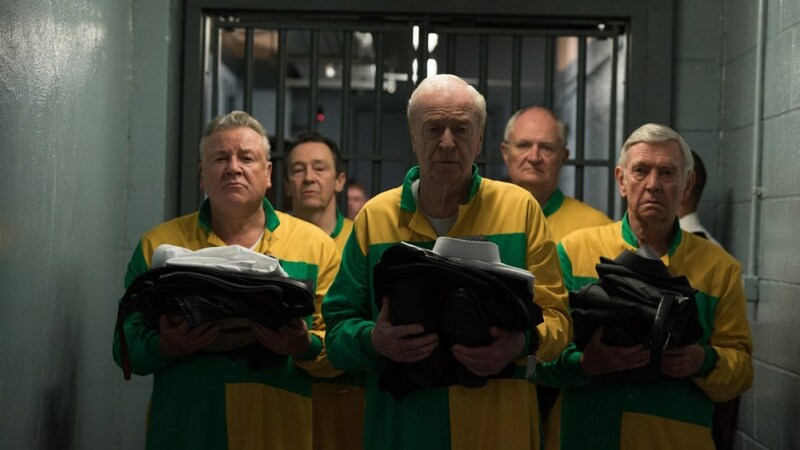 From the producers of LEGEND and DARKEST HOUR, and featuring an all-star cast of homegrown legends led by Sir Michael Caine, STUDIOCANAL is pleased to announce that KING OF THIEVES – the incredible true story of the spectacular Hatton Garden diamond heist, the biggest and most daring in British history – out now on Digital Download, Blu-ray and DVD. 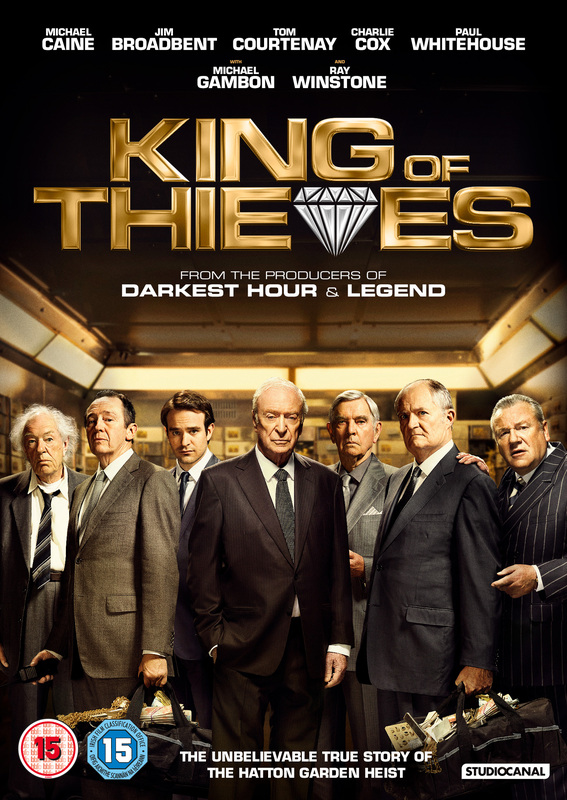 Produced by Working Title Films for STUDIOCANAL, KING OF THIEVES is humorously told through career best performances from a stellar cast; Sir Michael Caine (THE DARK KNIGHT TRILOGY, KINGSMAN), Jim Broadbent (SENSE OF AN ENDING, MOULIN ROUGE), Ray Winstone (THE DEPARTED, COLD MOUNTAIN), Sir Michael Gambon (KING’S SPEECH, HARRY POTTER), Sir Tom Courtenay (GUERNSEY LITERARY AND POTATO PEEL PIE SOCIETY, GAMBIT) and Charlie Cox (THEORY OF EVERYTHING, STARDUST). KING OF THIEVES is written by Joe Penhall (THE ROAD, MINDHUNTER), directed by Academy Award winner James Marsh (MAN ON WIRE, THEORY OF EVERYTHING), and produced by BAFTA winning and Academy Award nominees Tim Bevan and Eric Fellner (THEORY OF EVERYTHING, LES MISERABLES), alongside Ali Jaafar (THE IDOL) and Michelle Wright (7 DAYS IN ENTEBBE).